Racing fans will soon be donning their virtual crash helmets in anticipation of the imminent release of “Forza Motorsport 5” where they will have the first opportunity ever to try and beat Top Gear’s white-suited test driver The Stig – albeit his Digital Cousin. In an exclusive new video recently released by BBC Worldwide, the renowned racing driver’s digital counterpart can be seen clocking up some perfect lap times around a test track, while the Xbox One Racing Team V8 Supercar crew are unawares. Unlike the real-life Stig however, it’s rumoured that for the very first time ever this will be a more fallible Stig - and one that can be beaten - but only if you’re fast. Players will be able to test themselves against him in “Forza Motorsport 5”, coming exclusively to Xbox One on 22nd November. The video launched ahead of the annual Supercheap Auto Bathurst 1000 car race that took place last Sunday at the Mount Panorama Circuit in Bathurst, New South Wales, Australia. The car featured in the video being driven by The Stig’s Digital Cousin is the Holden Xbox One Racing Team car which will be driven by Britain’s Andy Prilaux, three-time WTCC winner and Bathurst veteran, and Sweden’s Mattias Ekstrom in this weekend’s race. 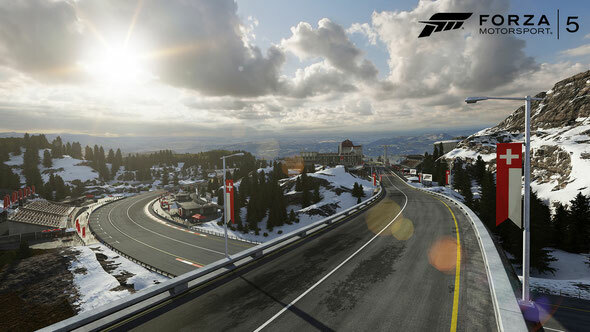 In “Forza Motorsport 5”, players will be able to experience Top Gear in numerous ways throughout the game. Players will be able to race the Top Gear test track – every corner from Hammerhead to Gambon meticulously recreated with unprecedented accuracy. An all-new Career Mode will feature events and opponents that are true to each car’s automotive heritage. “Forza Motorsport 5” career events are organized by car genre – including vintage cars, sports compacts, grand touring, exotics and more. Jeremy, James, and Richard will be on hand, providing their unique perspective through voiceovers on the collection of cars featured in the career mode events.